Looks like we will be looking at this scenery again this weekend. Not looking forward to it, I can say that. A sister blogger, McMama and others, http://mckgiveaways.blogspot.com/ are giving away this wonderful computer, an HP TouchSmart 600 machine. You can win it too by going to the blog, above, and leaving a comment. Well, to say the least, I have been, and will be, a very busy woman. 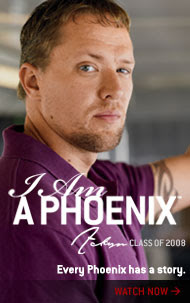 Not only am I in my second block of classes at Phoenix, I have taken a part time job. I started working at FoodCity in Paintsville Kentucky on Saturday. I am being trained in the Deli. I don't believe I have ever worked soooo hard. Between housework, schoolwork (mine and the boys) and now work work, lol, I probably won't be posting as much, I know, I don't post that much anyway! After giving it a lot of thought and prayer, I decided to apply myself and go back to school. I started college classes June 29, and today starts my 5th week. I decided to take information technology, and it is a very hard course so far. I will be doing this for the next 21 months, and hopefully after I am finished, I will be able to get a good job, doing what I love! On another note, 1 week from tomorrow, my 3 boys will be back in school. I will have a Juniopr, a Freshman, and a 7th grader. 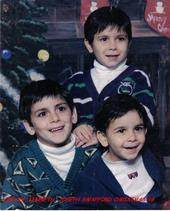 Hard to believe that these 3 babies pictured above are that old now. I mean, that picture was just taken what? Yesterday? Last Week? 10 years ago, you say? No way. I gotta go cry now! 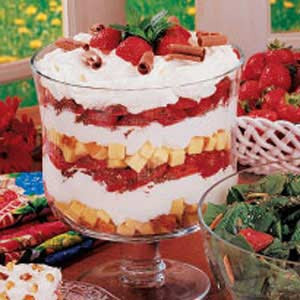 For a fantastic finale, this trifle makes any meal a special one. Because it is best made ahead so the flavors can blend, there's no last-minute fuss. In a bowl, toss strawberries with 1/2 cup sugar; set aside. In a bowl, beat cream cheese, orange juice and remaining sugar until smooth. Fold in the whipped cream; set aside. Drain strawberries, reserving juice; set the berries aside. Gently toss cake cubes with reserved juice. Place half of the cake in a 4-qt. trifle dish or serving bowl. Top with a third of the cream cheese mixture, half of the strawberries and half of the grated chocolate. Repeat layers. Top with remaining cream cheese mixture. Garnish with chocolate curls and strawberries if desired. Cover and refrigerate for at least 4 hours. Yield: 14-16 servings. You're a 19-year-old kid. You're critically wounded and dying in the jungle in the Ia Drang Valley , 11-14-1965, LZ X-ray, Vietnam . Your infantry unit is outnumbered 8-1 and the enemy fire is so intense, from 100 or 200 yards away, that your own Infantry Commander has ordered the MediVac helicopters to stop coming in. You're lying there, listening to the enemy machine guns, and you know you're not getting out. Your family is half way around the world, 12,000 miles away and you'll never see them again. As the world starts to fade in and out, you know this is the day. Then, over the machine gun noise, you faintly hear that sound of a helicopter and you look up to see an unarmed Huey, but it doesn't seem real because no Medi-Vac markings are on it. Ed Freeman is coming for you. He's not Medi-Vac, so it's not his job, but he's flying his Huey down into the machine gun fire, after the Medi-Vacs were ordered not to come. He's coming anyway. And he drops it in and sits there in the machine gun fire as they load 2 or 3 of you on board. Then he flies you up and out, through the gunfire to the doc tors and nurses. And he kept coming back, 13 more times, and took about 30 of you and your buddies out, who would never have gotten out. Medal of Honor Winner Ed Freeman! Since the media didn't give him the coverage he deserves, send this to every red-blooded American you know. Hi! I am Amber, from Eastern Kentucky. I am 34 years old, mom to 3 beautiful boys, 15, 14, and 12. I am also mom to Jake, an 8 year old Boston Terrier, to Luci, a 3 year old Boxer, Jester, a 4 year old neutered Tom Cat, and last but not least, Spooki, a 1 year old Tortoiseshell cat, who is very feisty and rotten. 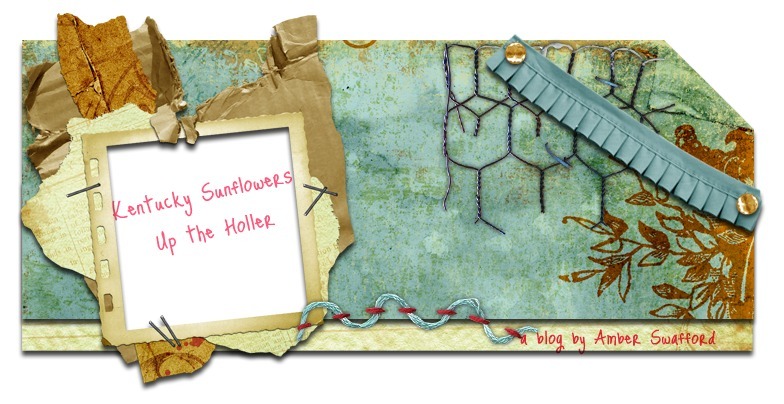 I have always wanted to blog, so now I am getting down to business. We live on a 50 acre farm out in the middle of nowhere, called Mattie. We are 15 miles from the nearest grocery store, and we love it. We are a Christian family, we attend Cando Free Will Baptist Church. I am going to try to post here everyday, as I get more comfortable with this idea, I will share my day, my family with you. Thanks for reading. MY ALL TIME FAVORITE SONGS! I AM A STAY AT HOME MOM TO 3 BOYS, 2 OF WHOM ARE TEENAGERS, ONE IS 12. OUR LIFE UP THIS KENTUCKY HOLLER IS QUITE CHAOTIC AT TIMES,BUT MOSTLY BLISSFUL. I HAVE BEEN MARRIED TO MY HIGHSCHOOL SWEETHEART FOR 16 YEARS, WE WILL CALL HIM THE TREEMAN.